Our dental team is one of the most experienced and knowledgeable in the area. They work hard to make sure that your visit runs as smooth as possible and that you receive the utmost in care. The Friendly Smiles Team is trustworthy and reliably delivers friendly, professional care. They truly enjoy seeing a smile on your face as you leave our office! Dr. Brenda Barfield followed her lifelong dream in 2003 by opening her own dental practice in Fargo, North Dakota. She had played an active role in her father’s practice for over 10 years in Moorhead, Minnesota. 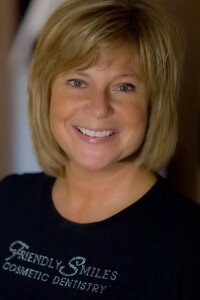 In 1992, she received an Associates of Science degree in Dental Hygiene and practiced in the Fargo-Moorhead area. After her father’s retirement, Brenda followed in his footsteps and received her Doctor of Dental Surgery degree from Creighton University in Omaha, Nebraska. Between graduating and opening her own practice, Dr. Barfield worked at the Family Health Care Dental Clinic in Fargo. Dr. Barfield has studied with the leaders in the fields of chronic head and neck pain; neuroanatomy and neurology; temporomandibular joint dysfunction (TMD); and sleep disorders, including snoring and sleep apnea. She has certification in TMJ & Sleep Therapy Research along with her memberships in the American Dental Association, Academy of General Dentistry, North Dakota Dental Association, American Academy of Dental Sleep Medicine, and Academy of Clinical Sleep Disorders. 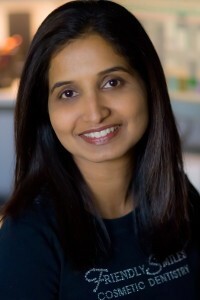 Dr. Mahale graduated from dental school in 2008 from the University of Minnesota Dental School. She lives in Fargo with her husband, daughter and 2 yr old dog Dobby. In her free time, Dr. Mahale loves cooking, baking ,watching movies ,travel and hanging out with her friends and family.